There is something about historic buildings that brings out the best in a business. 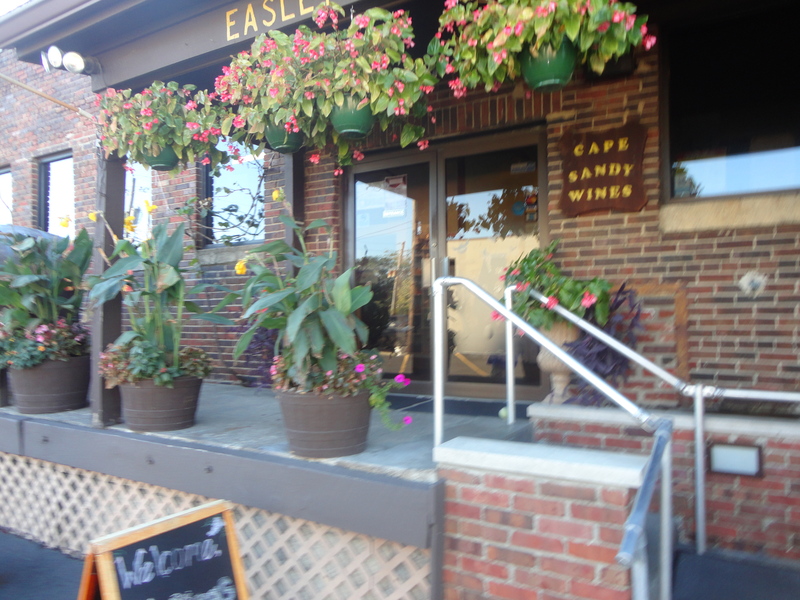 Easley Winery is located in Indianapolis, Indiana and is located in the former Fertig Ice Cream Plant. While at our Farm World Writer’s Conference, a group of correspondents had the chance to check out the winery and tour. Ever excited about historical buildings, I looked into the past and found that a Former Governor of Indiana once owned the land that was turned into a residential area. Seven houses were torn down to build the ice cream factory in 1924. The Fertig Ice Cream Company‘s claim to fame was the soft serve ice cream mix they made for the Dairy Queen and the Burger Chef hamburger chain. Mr. Fertig was bought out in 1973 by Beatrice Foods for his ice cream accounts and since they did not need the plant it was sold in 1974 to Jack and Joan Easley and became the 1st winery in the history of the City of Indianapolis. When the Easleys, hobby winemakers, dreamed of making and sell wine in Indiana in the late 1960s, it was illegal so they joined with other interested parties and created the Growers Guild. The Guild worked to reverse the law and wineries were able to become a reality in 1971. Easleys offers a variety of wines and their Traminette recently won a Gold Medal. Once tasting the wine selection, I had to agree with the judges and a bottle of this came back to Illinois with me! The best seller for the Easley winery is their Reggae Red and the Reggae White is not far behind. Besides offering a tasting room, they have a room that can be used for events and a great gift shop. Easleys often offers entertainment on the weekends. This business that is now a second generation family run in the heart of Indianapolis offers charm, friendly service, great wine and a fun atmosphere that will bring visitors back again and again. Log onto http://www.easleywinery.com for more information! Next Post: The Decker Hotel a luncheon discovery!